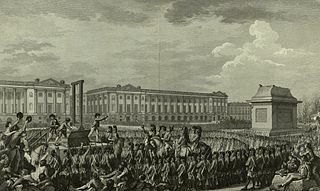 Wikimedia Commons has media related to 1771 . 1771 ( MDCCLXXI ) was a common year starting on Tuesday of the Gregorian calendar and a common year starting on Saturday of the Julian calendar , the 1771st year of the Common Era (CE) and Anno Domini (AD) designations, the 771st year of the 2nd millennium , the 71st year of the 18th century , and the 2nd year of the 1770s decade. 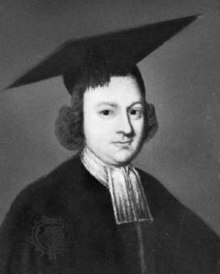 As of the start of 1771, the Gregorian calendar was 11 days ahead of the Julian calendar, which remained in localized use until 1923. The Torghut are one of the four major subgroups of the Four Oirats. The Torghut nobles traced its descent to the Keraite ruler Tooril also many Torghuts descended from the Keraites. Ubashi Khan was a Torghut-Kalmyk prince and the last Khan of the Kalmyk Khanate. In January 1771, he led the return migration of the majority of the Kalmyk people from the Kalmyk steppe to Dzungaria, their ancestral homeland, then under the control of the Qing Dynasty. 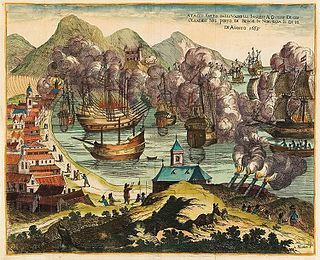 July 13 – Russo-Turkish War (1768–74): Russian forces occupy the Crimea,  under Prince Vasily Dolgorukov. 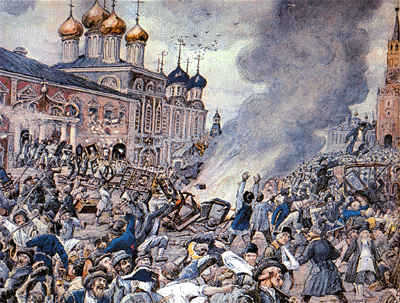 September 15 – 17 – The Moscow plague riot results from an outbreak of bubonic plague, which kills 57,000. The Dutch Republic, or the United Provinces, was a confederal republic that existed from the formal creation of a confederacy in 1581 by several Dutch provinces—seceded from Spanish rule—until the Batavian Revolution in 1795. It was a predecessor state of the Netherlands and the first Dutch nation state. Vrouw Maria was a Dutch wooden two-masted merchant ship carrying a valuable cargo of art objects, captained by Raymund Lourens, that sank on October 9, 1771, in the outer archipelago of the municipality of Nagu, Finland, 11 kilometers south-east of the island of Jurmo. In 1999, the ship was discovered by the members of Pro Vrouw Maria, led by Rauno Koivusaari. A dispute between the discoverers and the authorities was later resolved. 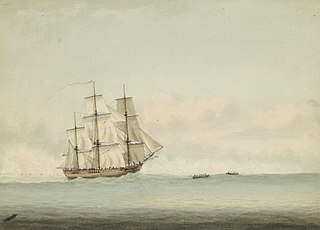 The ship was in good condition when it was discovered, but only six objects from the deck of the ship have been salvaged. The cargo holds have not been disturbed, so the condition of any art on board remains unknown. The Finnish National Board of Antiquities is responsible for the ship and all recovery efforts. Slovene literature: István Küzmics, the Hungarian Slovene writer and evangelical pastor, publishes (in Halle) the Nouvi Zákon , a translation of the New Testament into the Prekmurje Slovene language, with discrete South Slavic artwork. Charles Frederick was Margrave, Elector and later Grand Duke of Baden from 1738 until his death. 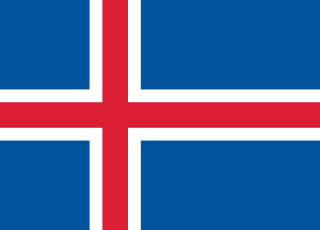 Iceland is a Nordic island country in the North Atlantic, with a population of 348,580 and an area of 103,000 km2 (40,000 sq mi), making it the most sparsely populated country in Europe. The capital and largest city is Reykjavík, with Reykjavík and the surrounding areas in the southwest of the country being home to over two-thirds of the population. Iceland is volcanically and geologically active. The interior consists of a plateau characterised by sand and lava fields, mountains, and glaciers, and many glacial rivers flow to the sea through the lowlands. Iceland is warmed by the Gulf Stream and has a temperate climate, despite a high latitude just outside the Arctic Circle. Its high latitude and marine influence keep summers chilly, with most of the archipelago having a tundra climate. The 1770s decade ran from January 1, 1770, to December 31, 1779. 1716 (MDCCXVI) was a leap year starting on Wednesday of the Gregorian calendar and a leap year starting on Sunday of the Julian calendar, the 1716th year of the Common Era (CE) and Anno Domini (AD) designations, the 716th year of the 2nd millennium, the 16th year of the 18th century, and the 7th year of the 1710s decade. As of the start of 1716, the Gregorian calendar was 11 days ahead of the Julian calendar, which remained in localized use until 1923. 1665 (MDCLXV) was a common year starting on Thursday of the Gregorian calendar and a common year starting on Sunday of the Julian calendar, the 1665th year of the Common Era (CE) and Anno Domini (AD) designations, the 665th year of the 2nd millennium, the 65th year of the 17th century, and the 6th year of the 1660s decade. As of the start of 1665, the Gregorian calendar was 10 days ahead of the Julian calendar, which remained in localized use until 1923. 1779 (MDCCLXXIX) was a common year starting on Friday of the Gregorian calendar and a common year starting on Tuesday of the Julian calendar, the 1779th year of the Common Era (CE) and Anno Domini (AD) designations, the 779th year of the 2nd millennium, the 79th year of the 18th century, and the 10th and last year of the 1770s decade. As of the start of 1779, the Gregorian calendar was 11 days ahead of the Julian calendar, which remained in localized use until 1923. 1772 (MDCCLXXII) was a leap year starting on Wednesday of the Gregorian calendar and a leap year starting on Sunday of the Julian calendar, the 1772nd year of the Common Era (CE) and Anno Domini (AD) designations, the 772nd year of the 2nd millennium, the 72nd year of the 18th century, and the 3rd year of the 1770s decade. As of the start of 1772, the Gregorian calendar was 11 days ahead of the Julian calendar, which remained in localized use until 1923. 1753 (MDCCLIII) was a common year starting on Monday of the Gregorian calendar and a common year starting on Friday of the Julian calendar, the 1753rd year of the Common Era (CE) and Anno Domini (AD) designations, the 753rd year of the 2nd millennium, the 53rd year of the 18th century, and the 4th year of the 1750s decade. As of the start of 1753, the Gregorian calendar was 11 days ahead of the Julian calendar, which remained in localized use until 1923. 1710 (MDCCX) was a common year starting on Wednesday of the Gregorian calendar and a common year starting on Sunday of the Julian calendar, the 1710th year of the Common Era (CE) and Anno Domini (AD) designations, the 710th year of the 2nd millennium, the 10th year of the 18th century, and the 1st year of the 1710s decade. As of the start of 1710, the Gregorian calendar was 11 days ahead of the Julian calendar, which remained in localized use until 1923. In the Swedish calendar it was a common year starting on Saturday, one day ahead of the Julian and ten days behind the Gregorian calendar. 1717 (MDCCXVII) was a common year starting on Friday of the Gregorian calendar and a common year starting on Tuesday of the Julian calendar, the 1717th year of the Common Era (CE) and Anno Domini (AD) designations, the 717th year of the 2nd millennium, the 17th year of the 18th century, and the 8th year of the 1710s decade. As of the start of 1717, the Gregorian calendar was 11 days ahead of the Julian calendar, which remained in localized use until 1923. 1702 (MDCCII) was a common year starting on Sunday of the Gregorian calendar and a common year starting on Thursday of the Julian calendar, the 1702nd year of the Common Era (CE) and Anno Domini (AD) designations, the 702nd year of the 2nd millennium, the 2nd year of the 18th century, and the 3rd year of the 1700s decade. As of the start of 1702, the Gregorian calendar was 11 days ahead of the Julian calendar, which remained in localized use until 1923. In the Swedish calendar it was a common year starting on Wednesday, one day ahead of the Julian and ten days behind the Gregorian calendar. 1678 (MDCLXXVIII) was a common year starting on Saturday of the Gregorian calendar and a common year starting on Tuesday of the Julian calendar, the 1678th year of the Common Era (CE) and Anno Domini (AD) designations, the 678th year of the 2nd millennium, the 78th year of the 17th century, and the 9th year of the 1670s decade. As of the start of 1678, the Gregorian calendar was 10 days ahead of the Julian calendar, which remained in localized use until 1923. William Tryon was a British general officer and a colonial official who served as the 39th Governor of New York from 1771 to 1780, assuming the office after having served as the eighth Governor of North-Carolina from 1765 to 1771. Claude Joseph Sauthier (1736–1802) was an illustrator, draftsman, surveyor, and mapmaker. He was employed by the British colonial government in the American colonies prior to and during the American Revolutionary War. The Battle of Alamance was the final battle of the War of the Regulation, a rebellion in colonial North Carolina over issues of taxation and local control. Some historians in the late nineteenth-early twentieth centuries considered the battle to be the opening salvo of the American Revolution, and locals agreed with this assessment. Yet, this has been questioned by present-day historians arguing that the Regulators were not intending a complete overthrow of His Majesty's Government in North Carolina. They were only standing up against those certain local officials who had become corrupt and unworthy tools of the King, and they only turned to riot and armed rebellion as a last resort when all other peaceful means through petitions, elections to the Assembly, etc. had failed to redress their grievances. Many surviving ex-Regulators became loyalists during the Revolution, and several anti-Regulators [e.g. William Hooper, Alexander Martin, and Francis Nash] became patriots during the Revolution. Named for nearby Great Alamance Creek, the battle took place in what was then Orange County and has since become Alamance County in the central Piedmont about 6 miles (9.7 km) south of present-day Burlington, North Carolina. ↑ "Horsham Cricket Club History". Horsham Cricket Club. Archived from the original on February 26, 2012. Retrieved 2011-11-01.